Actually, we all know that breakfast is the most important meal of the day, it affects our health and wellness but dear dieter you’d be surprised to know that breakfast is very helpful to lose weight. In contrast, whenever you skip it you put your health in jeopardy because several studies have shown that men who skip breakfast are 20% more likely to have DM2 ( diabetes type2 ) while those who do not reduce such a risk by 34%. Breakfast is an easy natural remedy that you can make at home by your own just be sure of having the balanced one. It must contain protein which is obviously effective to decrease appetite and thus hunger, keep you Ghrelin low ( hunger hormone ) and make you burn more calories to be digested. Our brain is made from fat that’s why you have to make sure of eating enough fat to maintain your body functioning. It is also okay to add carbohydrates but stay away of junk food carbs. 1. Make an omelette using organic eggs, some milk, salt and tiny slices of onion. You can also add spices like black pepper and a teaspoon of organic ghee. White spelt bread is also required and fruit salad like strawberries , blueberries and raspberries. You can add some avocado. 2. Fry 3 sweet potatoes. In a bowel mix 2 eggs, 1 cup of Feta, rosemary and shrivelled spinach and blend them. In an oven bowel put the sweet potatoes spread the mixture over it and put them in the oven for 40 minutes and under 200°. 3. Add stock, a cup of rice, fresh basil, and thyme to a half cooked chicken breasts and keep them over fire for 20 minutes. Your delicious breakfast is ready! 4. Heat 3 halved peaches for 2 minutes. Remove the grilled peaches from the grill and drizzle them with honey. 5. This is a pretty simple recipe, you have just to toast the bread, spread the peanut butter all over the bread and add some banana slices. 6. In a dish you can put 1 Greek yogurt or replace it with milk, original granola which is gluten free, wheat free and nut free. You can add also some pinches of coconut, some raw goji berries and honey. It would be perfect if you add some fruits like apple slices, grapes or blueberries. 7. In a bowel scoop out a half of an avocado, add a pinch of salt and black pepper powder and then mix them. Toast brown bread without oil and spread the mixture over it. Now add radish slices or tomato and cucumber slices. 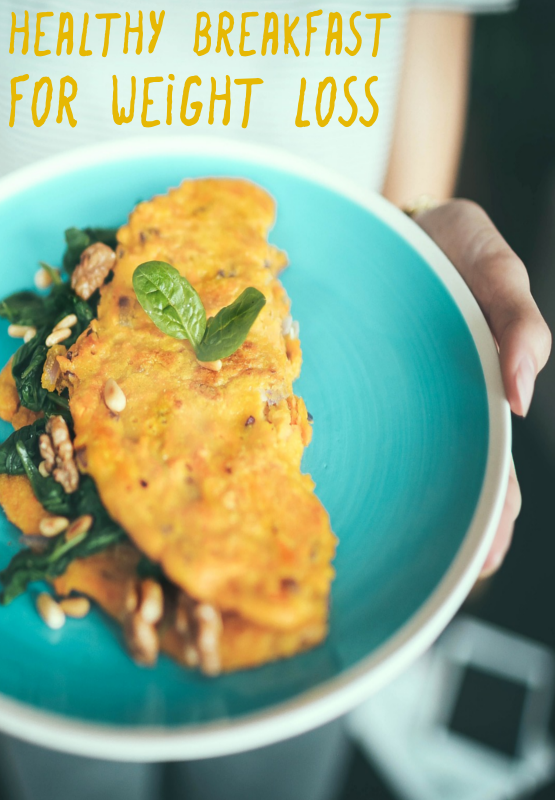 This is a very healthy recipe because it contains healthy fats, fiber, antioxidant and several nutrients such as potassium.